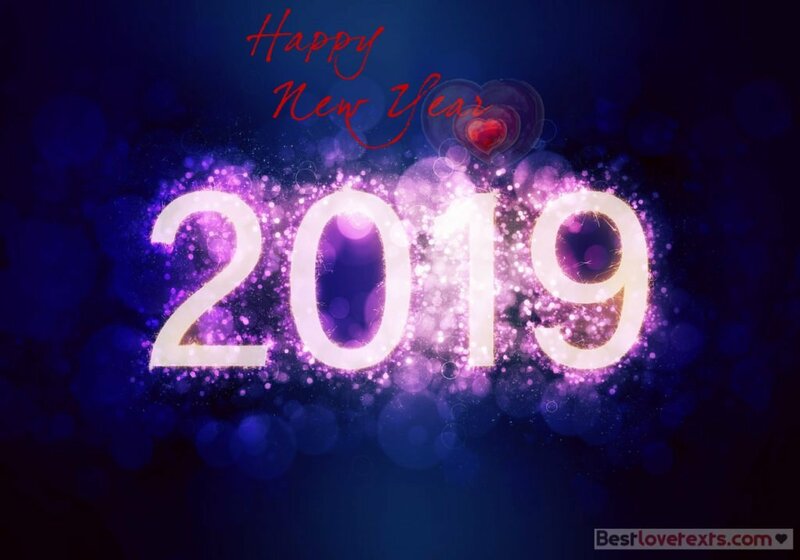 If you want to choose in advance the message that you are going to write for your sweetheart on the occasion of the new year, you will find bellow a selection of messages of wishes for the new year 2019 or you can even get inspired?! Up to you to choose the corresponding text of the New Year and you can send texts, emails or send cards for a nice and happy New Year! Years go, times change, but my love towards you remains forever! A new year is an opportunity for me to love you more and more! Happy New Year Darling. In 2017 we had together nice moments that will be etched in our minds. I wish that 2019 will be as nice as the previous; full of love and softness! Let’s continue together with our love to shape our dreams and expectations for a fully happy life in 2019! Though we are far from each other, a nice year is waiting for us, a year full of achievement, joy, laughter and mainly of love! I wish you a happy New Year, 2019, my Sweetheart..
Far from me, but always in my heart and my thoughts! I wish you an excellent year 2019. Happy to receive you on board of 2019! The program of this year is: plenty of love, a lot of joy, achievement and health. Love option is offered by me; you have the right to 365 days of love and passion! The New Year is an occasion to celebrate our love, happiness and all the nice things that we had together .Lets take time to appreciate the moments that we lived and dreamt about what the New Year would bring to us! Happy New Year ,best wishes! For this New Year 2019 i have three resolutions: loving you more, taking care of you and thinking about you every moment. Happy New Year! Love you. I send you this text because you mean a lot for me ;so I wanted to wish from the bottom of my heart that this new year be the starting point of the best moments of your life ! It’s a little text for a big year, 2019, that carries my wishes of happiness and joy for you my sweetheart! For this New Year I wish to share more love with you! I really look forward! Miss you ! Happy New Year 2019. Happy New Year my sweetheart. May the Christmas magic operate and delete sadness and anguish from your life and replace them by joy and happiness. I wish that 2019 will be the best of years! Thousands of wishes with my love.